Angel Trains Ltd has delivered the first UK Designated Body (DeBo) certified Class 180 train fitted with the new European Train Control System (ETCS) to Grand Central in readiness for the introduction of the digital signalling system on the East Coast Mainline. 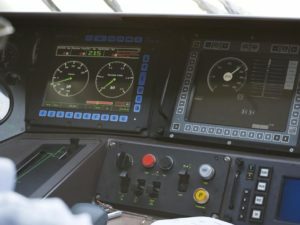 Fitted by Alstom at Arriva Train Care in Eastleigh, the new Baseline 3 Atlas 200 system is the rail industry’s ‘best in class’ signalling technology designed to increase both operational capacity and passenger safety. The success of this key milestone has been achieved by the collaborative relationship between Grand Central, Alstom and Angel Trains throughout the design and installation process. Grand Central intends initially to roll out the train-borne technology on ten Class 180 trains and the system will undergo a phased development and testing programme that will see it fully authorised for Baseline 3 R2 operation in 2019. 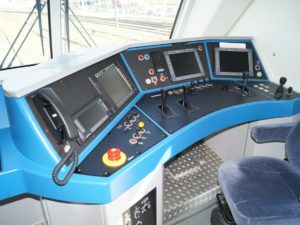 The Class 180 train was fitted with ETCS under the European Rail Traffic Management System (ERTMS) rollout programme, funded by Network Rail and managed by the National Joint ROSCO Project, forming part of the UK’s Digital Railway vision that will help to deliver additional route capacity in the UK. Angel Trains is one of Britain’s leading train leasing companies and has been an owner and lessor of rolling stock since 1994. The company leases to all 19 franchised operators and two open access operators in the UK. Angel Trains is passionate about financing and delivering high quality modern assets to its customers and is committed to working with the Government, the Rail Delivery Group (“RDG”), the Rail Supply Group (“RSG”) and other stakeholders to provide innovative funding solutions to modernise and improve the UK’s train fleet. Angel Trains has invested £4.7 billion in new rolling stock and refurbishment programmes since 1994 and is one of the largest private investors in the industry.